YOU might be excited to get a new $5 in your change but chances are you may not be able to spend it. Consumers are having their notes rejected at most vending machines and self-serve counters across the country. The new hi-tech anti-fraud and braille features are the reason behind cash readers not accepting them. The two tiny bumps put on the note for visually impaired people is one of the reasons the machines won't read the note. It is understood that Coles Supermarkets will accept the new notes at the self-serve checkouts but Woolworths can't at this stage. Woolworths are believed to be in the process or updating their machines. Either way you may be best to use the notes at a check-out manned by a real person rather than the machines for the time being. 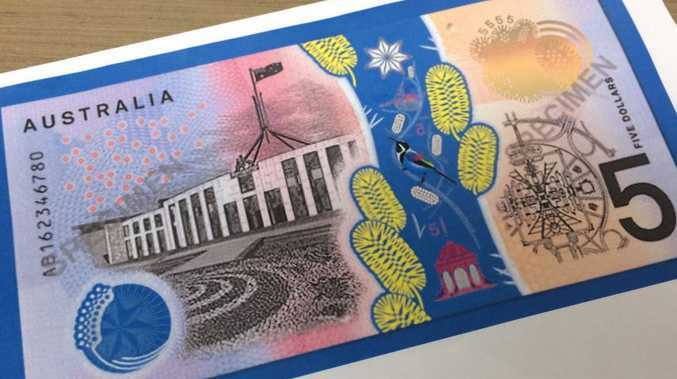 Let us know where your new $5 note has been rejected.